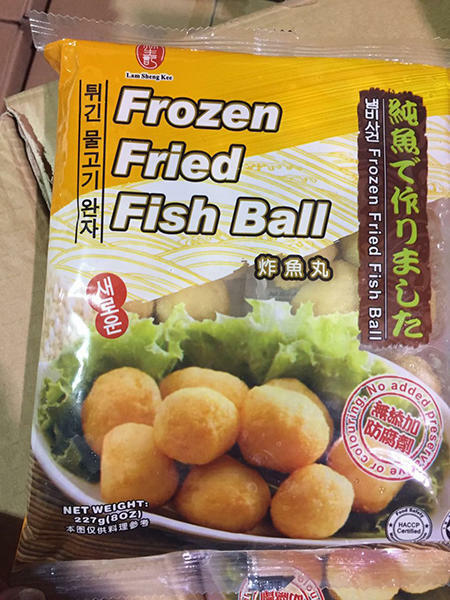 Global Lamsheng Kee Inc., Brooklyn, NY is recalling Frozen Fish Tofu, Frozen Fried Fish Ball and Frozen White Fish Ball because they may contain undeclared egg. People who have allergies to egg run the risk of serious or life-threatening allergic reaction if they consume these products. These products are sold frozen. The recall includes all lots that do not declare egg on the label. The product was distributed at retail stores in Pennsylvania, New York, Virginia, Texas, Michigan and North Carolina. The recall was initiated after it was discovered that the products contain major food allergen but not declared in the packaging and it can pose a health risk to certain sensitive individuals. Consumers with questions may contact the company at 1-718-501-1577. Mon-Fri: 08:30AM-5:00PM.